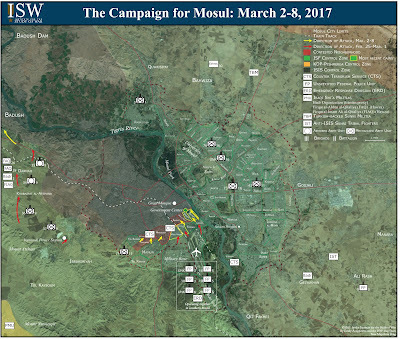 In the past two days, Iraqi Security Forces and their allies have made significant advances against Islamic State forces in western Mosul. Reports suggest senior IS leaders have already left Mosul for Raqqa. Although there is a sense of collapsing resistance, the narrow streets of the old city could still provide ample opportunity for hard fighting. 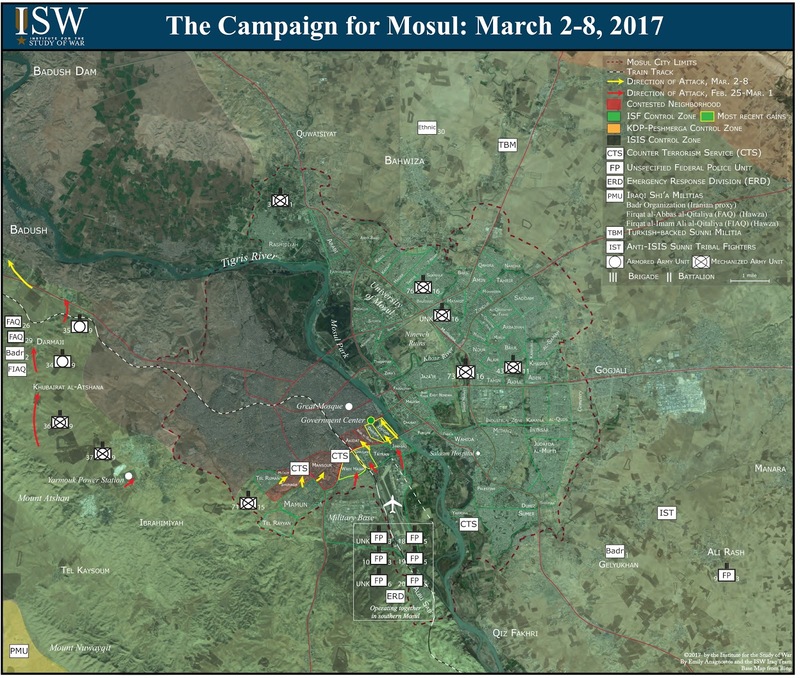 As the two maps below indicate, after crossing the Tigris and seizing the airport, Iraqi forces have steadily advanced northward, and have now taken the government center. Though the advance may slow in the old city, a key symbolic target will likely be the Great Mosque, where IS "Caliph" Abu Bakr al-Baghdadi was proclaimed. Baghdadi is believed to have fled, perhaps to Raqqa, where allied forces are already maneuvering for the final assault.